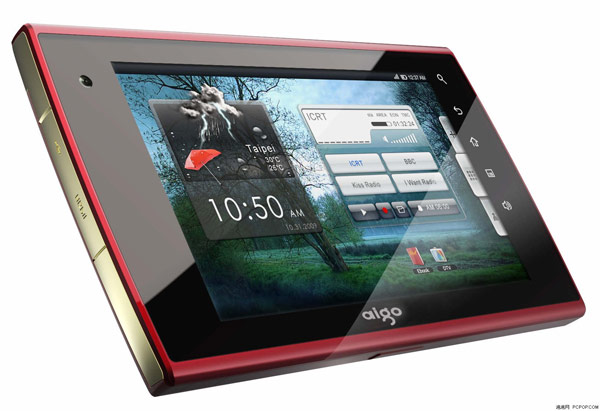 If you’ve been thinking of diving into the tablet market recently and are looking for an alternative to Apple’s iPad, you may want to direct your attention to Aigo’s new tablet: the N700. Running on a 1GHz ARM Cortex A9 processor coupled with 512MB of memory and NVIDIA’s Tegra 2 chip, the N700 certainly knows how to make an entrance. You’ll find a 7-inch capacitive display with a resolution of 800 x 480, inbuilt storage of either 4, 16 or 32GB and, of course, Android 2.1 to match.